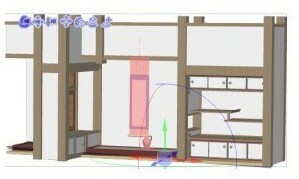 This 3D is divided by minimum number which make it easy for part’s customization. 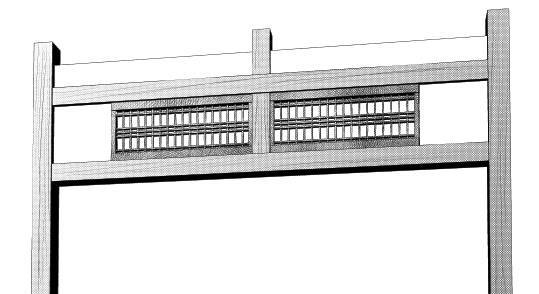 It is able to display, hide and move each part. 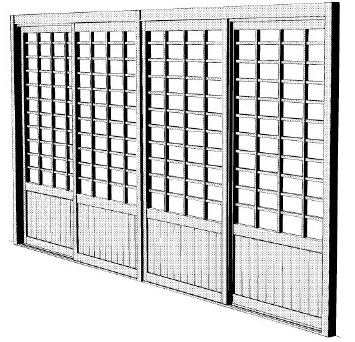 It can be used in 2 doors or 4 doors. 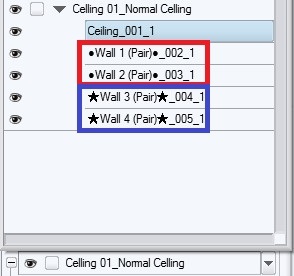 When using 2 doors, hide the part inside the blue frame. 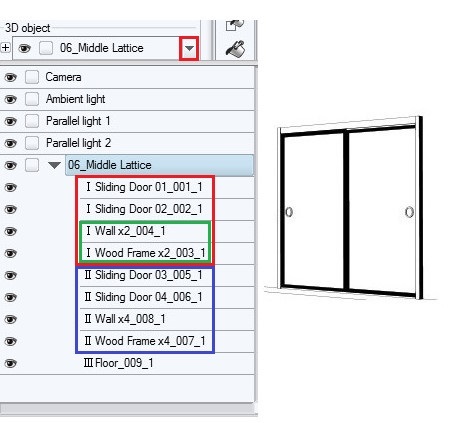 When using with 4 doors, please hide the part inside the green frame. 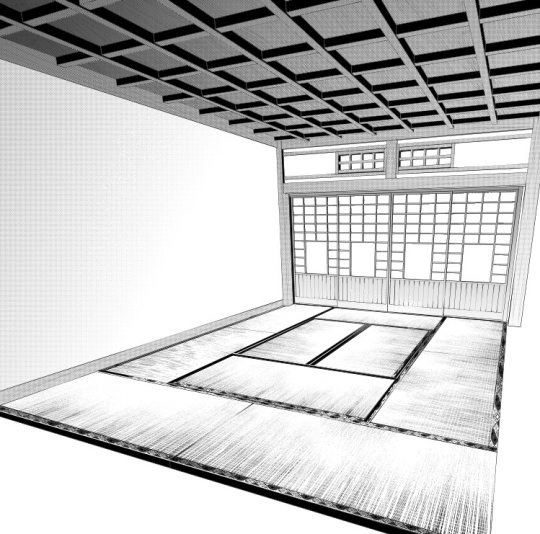 There is no texture. 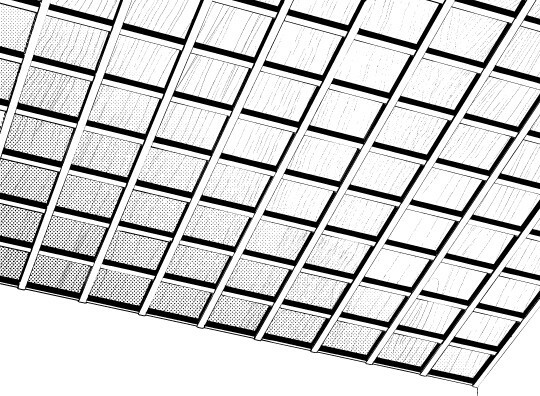 Please paste any tones. 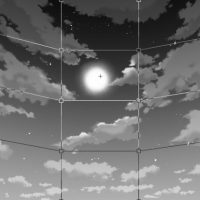 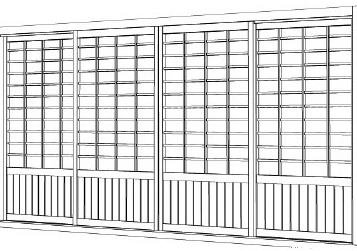 ※It is a square lattice. 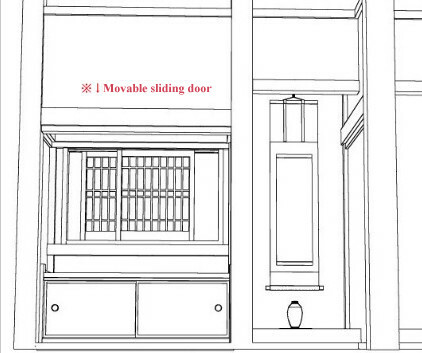 Each door can be slide by adjusting the value of X.
so total are 7 Types + α set. 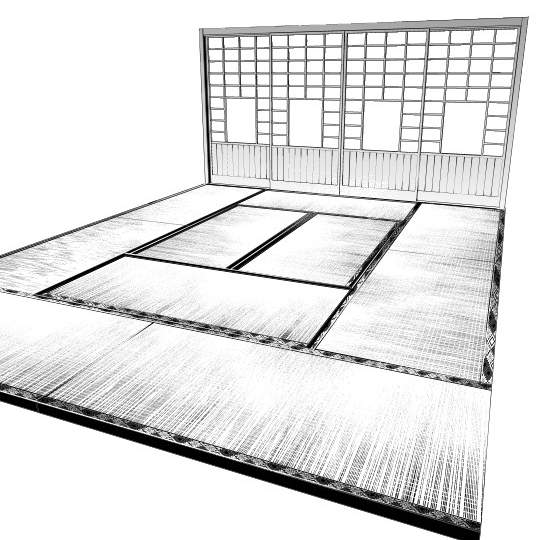 The Tatami mats are corresponding to 4 rooms and each mat’s size can add up to 4 to 12 mats. 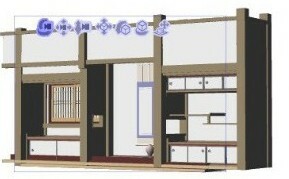 It can be used in combination freely to make a Japanese room with other parts. Here is an arrangement of the main file. 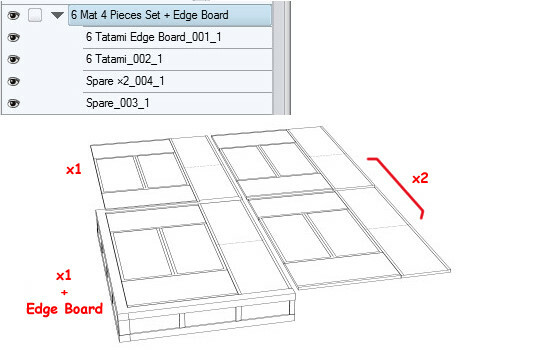 Each part can be display or non-display according to personal design. 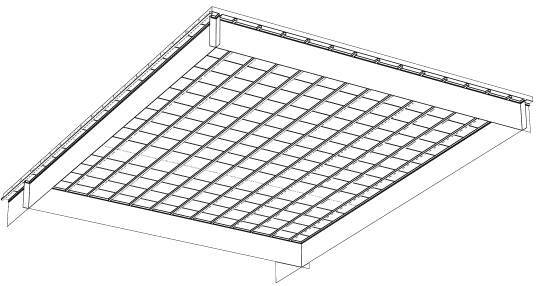 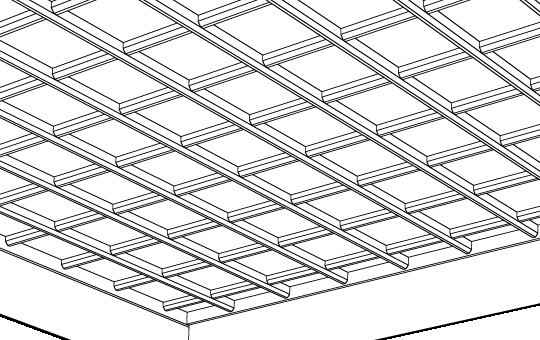 The edge board can be added to 4-6 mats. 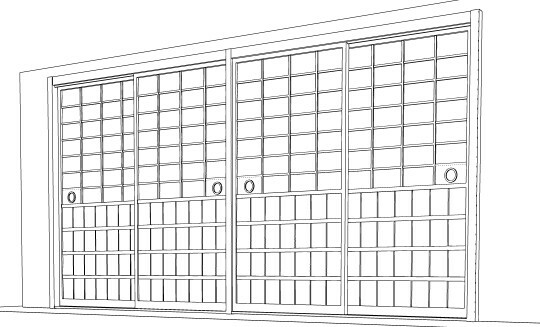 The single file of 4 to 12 mats is used for up to 4 Japanese style room. 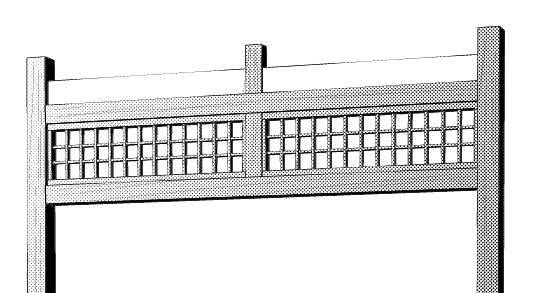 Please use it freely with display and non-display. 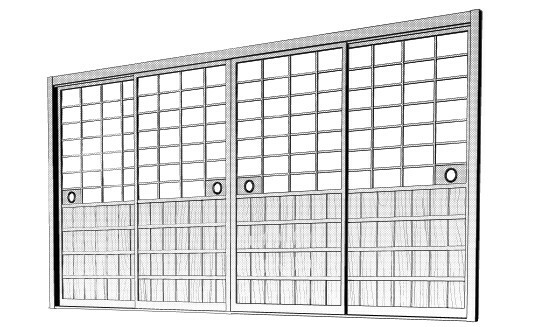 ※There is a gap between the Tatami mats for the sliding door. 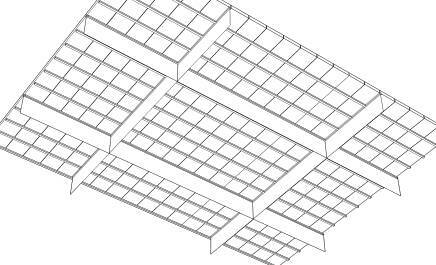 4 to 6 mats with edge board. 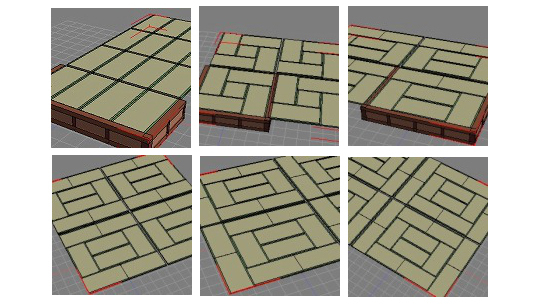 It can be combined with other 3D materials to make a room layout and they fit accurately. 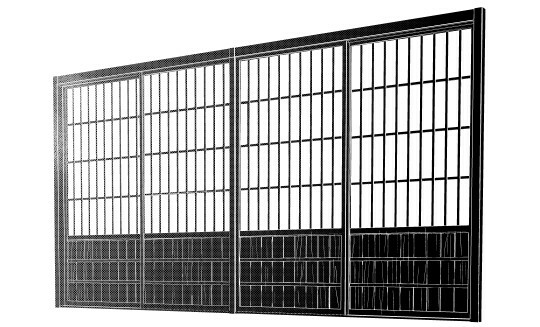 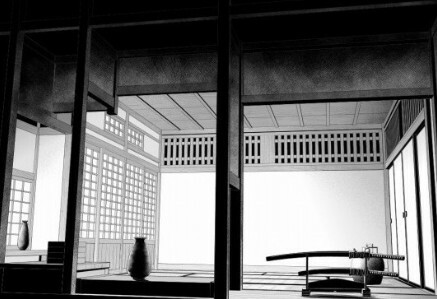 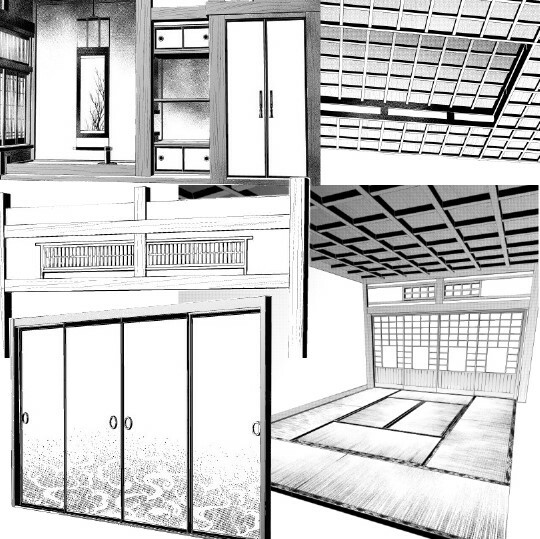 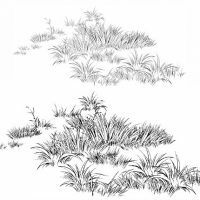 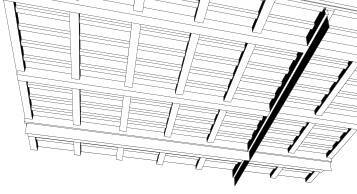 A total of 4 patterns of tatami lines are included in a image files. 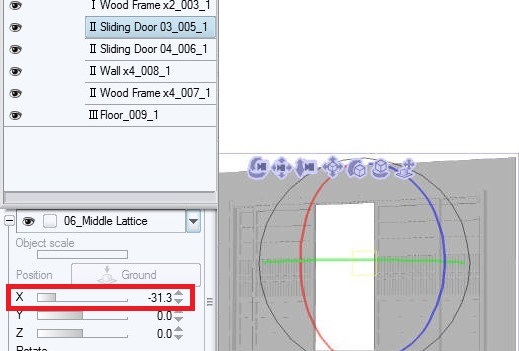 Please use it according to the shape of the mats by “Free Transform”. 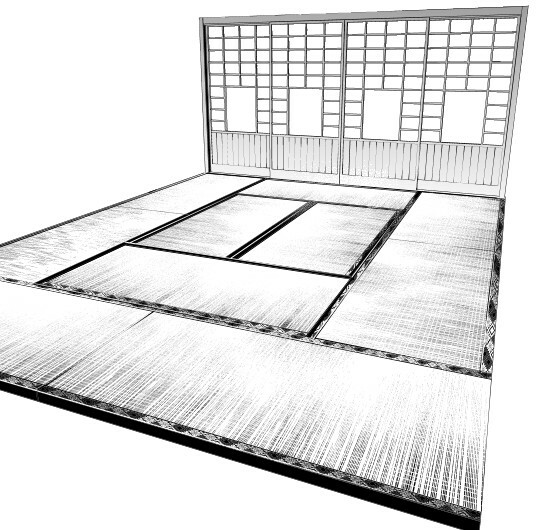 The brush include in the set is used for side of the Tatami mats. 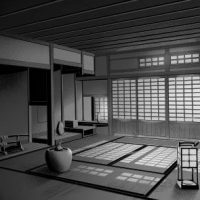 Take the selection area of the side and draw with brush in black color (or draw with white color after filled the area with black/beta(solid color). 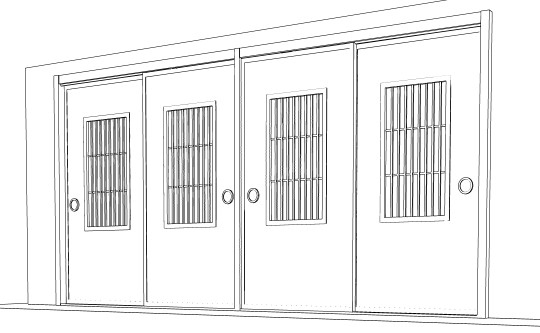 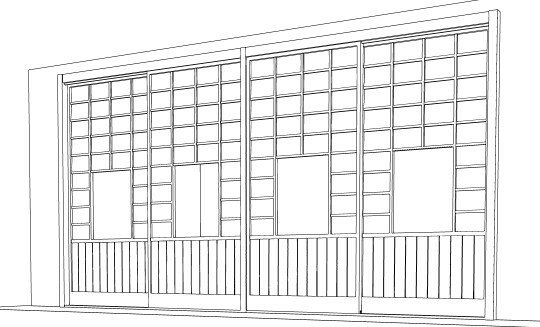 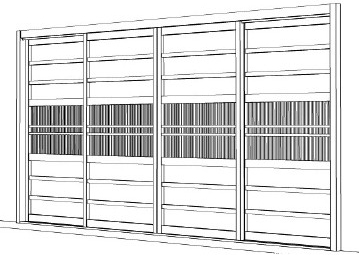 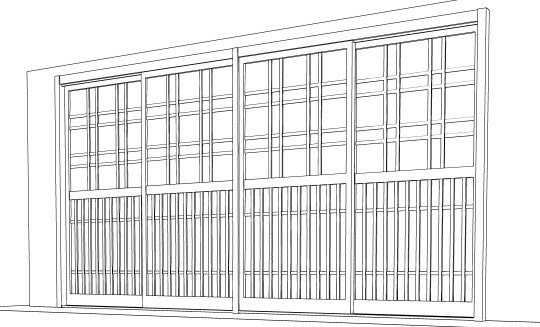 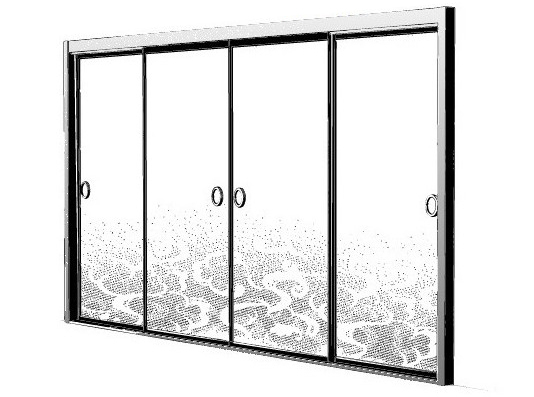 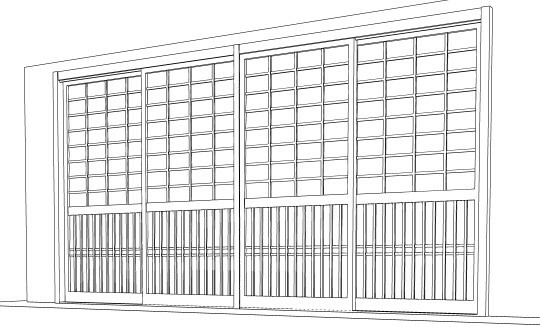 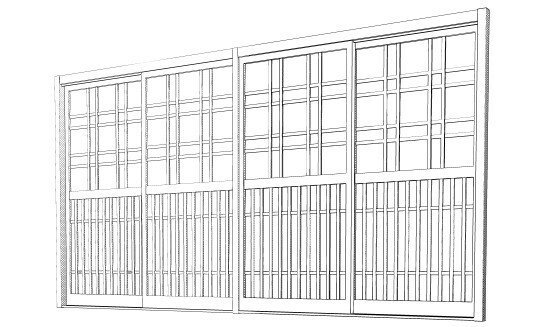 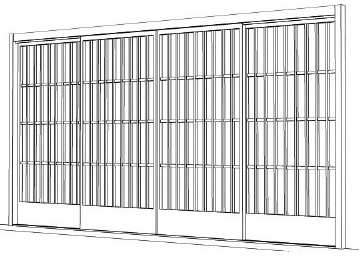 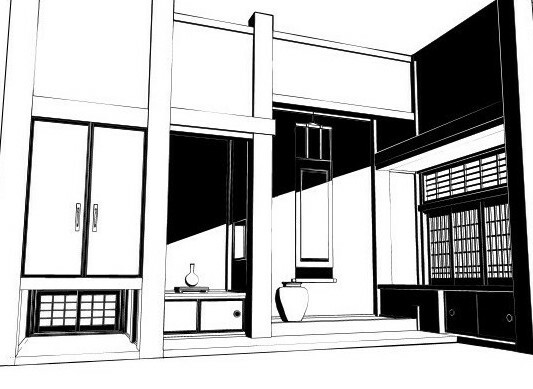 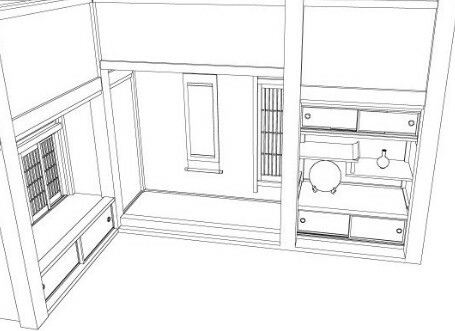 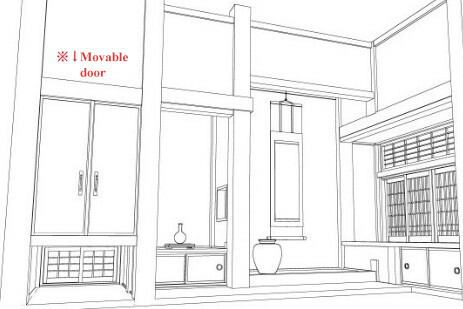 Using Tatami line image, side brush and 3D sliding door. 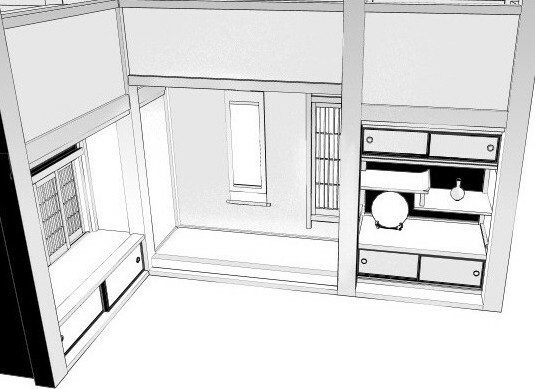 A Japanese room with perspective can be made freely with combination of ceiling and material like sliding door and Tatami. 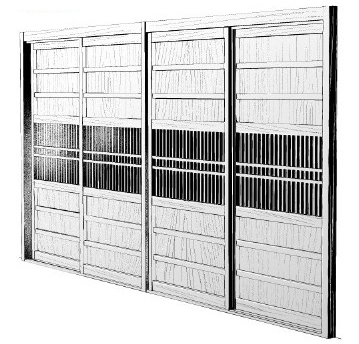 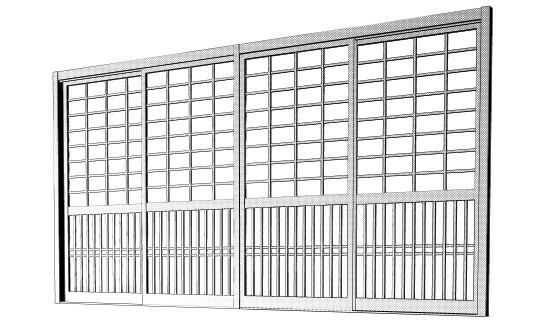 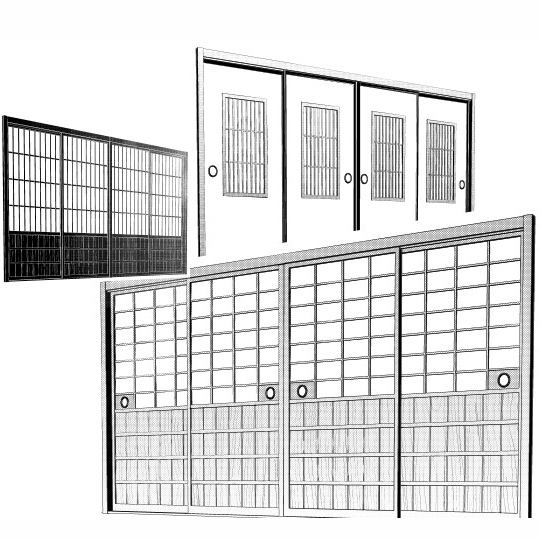 7 types of transoms are each divided into parts for customization. 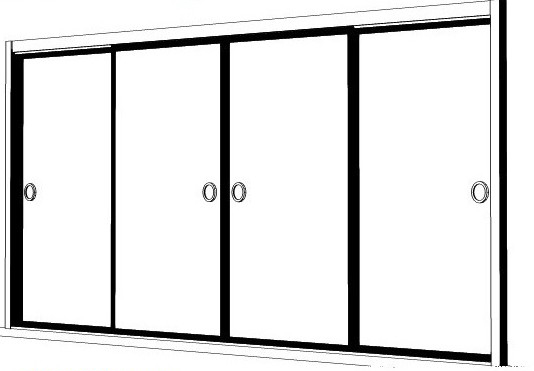 It can be use together with 3D sliding door materials. 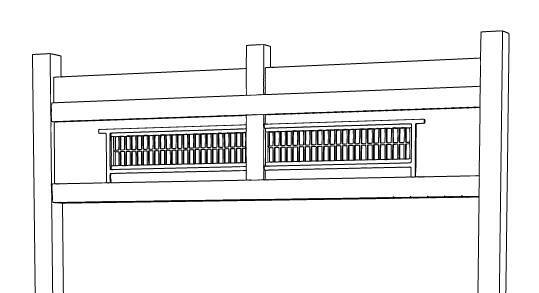 It is composition of 5 parts and width can be adjust up, down and left, right. 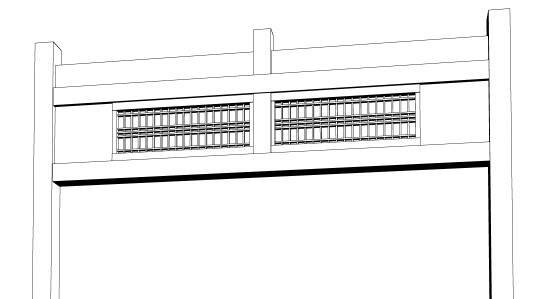 with numerical adjustment of Y (up and down). 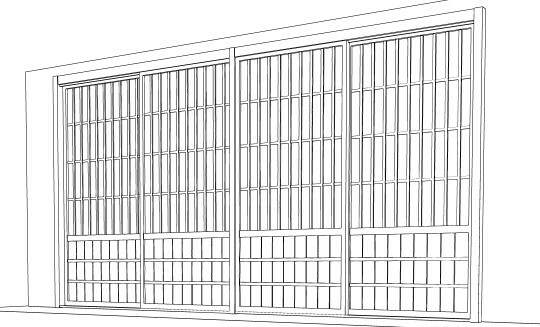 ※If the gaps are made, please fill in with white after LT conversion, because the wall part also work. 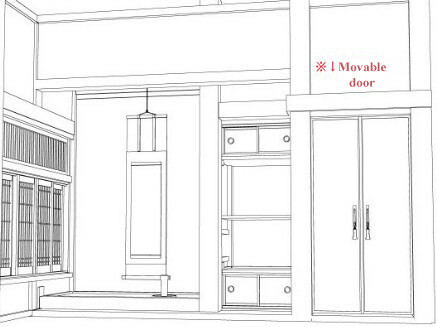 ※At the bottom part of transom, sliding door can fit perfectly. 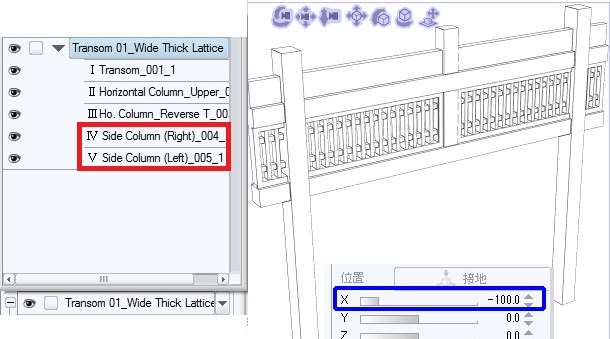 When using it in a narrow room layout, please move both of side column parts by adjust the width with X (left and right). 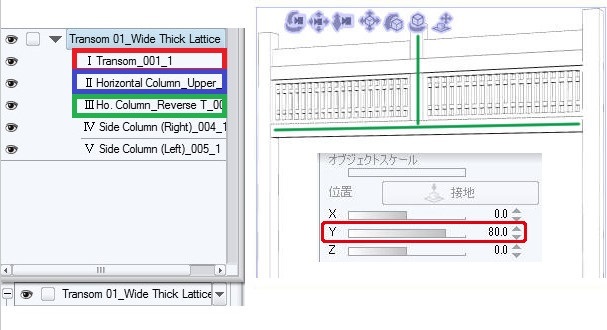 ※Please cut both sides of the extra after LT conversion. 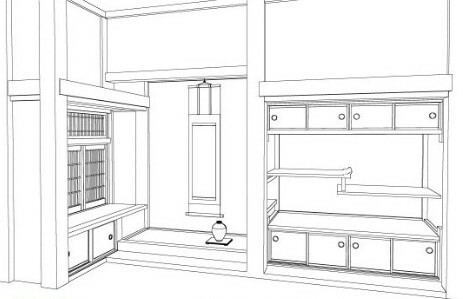 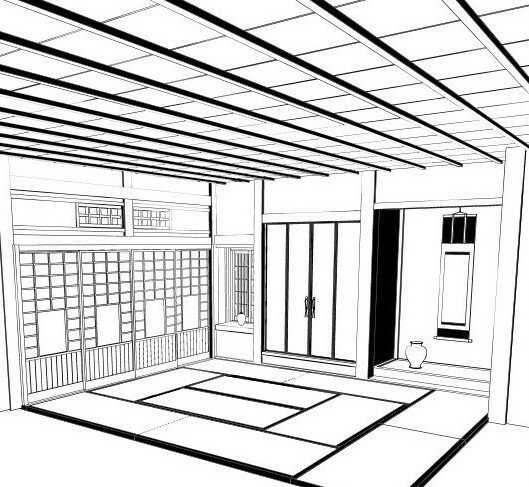 ceiling and materials like sliding door and Tatami. 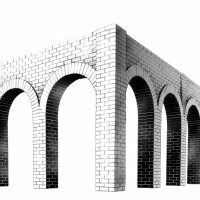 A 3D material that have total 14 files with 7 types of alcove and inverted version. 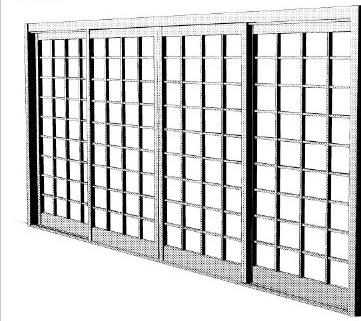 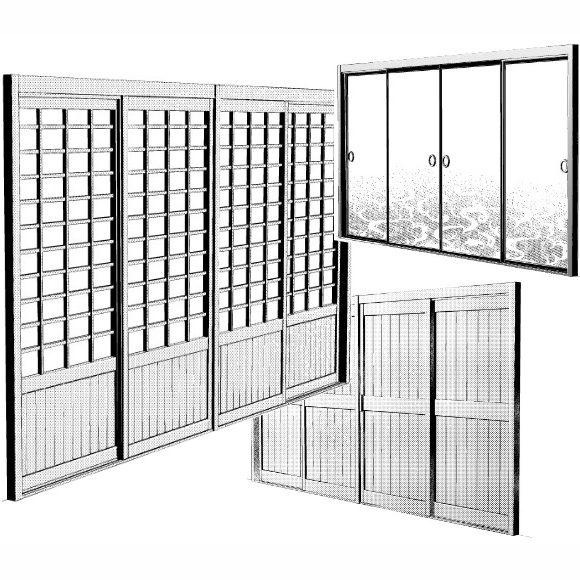 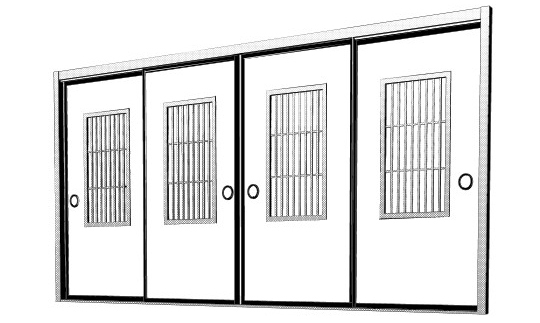 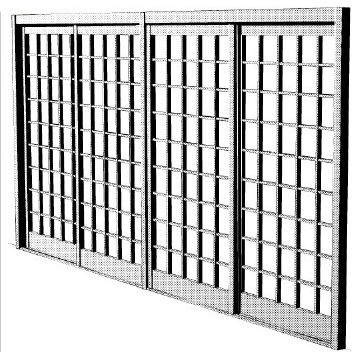 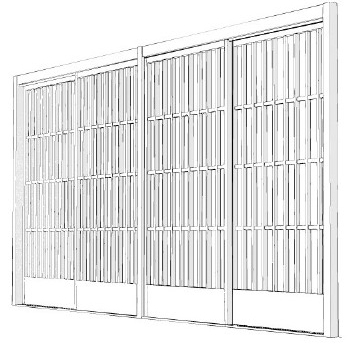 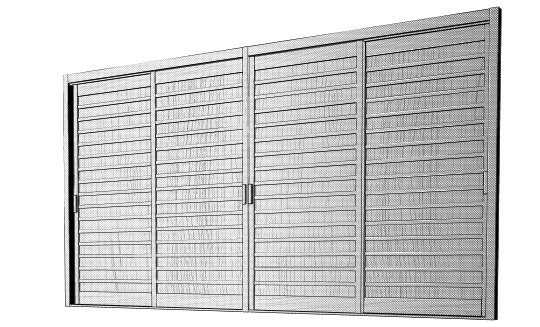 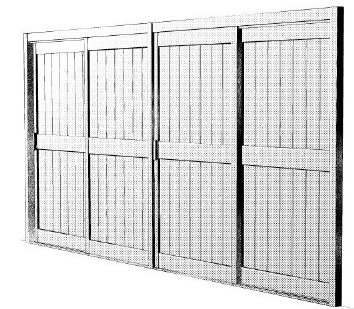 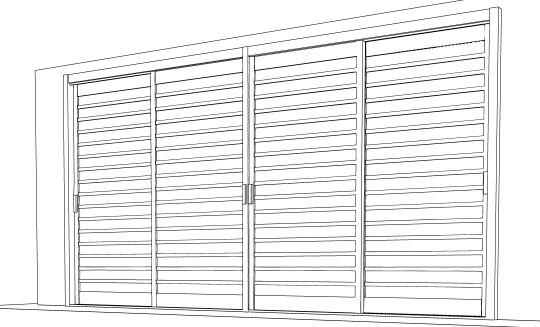 Can use it with sliding door, tatami mats and ceiling material. 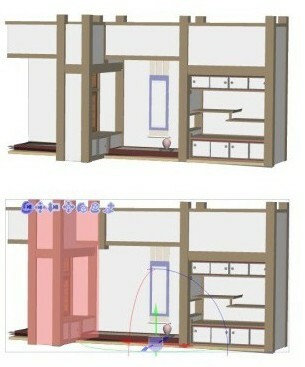 Recommend 50 accuracy of detection. 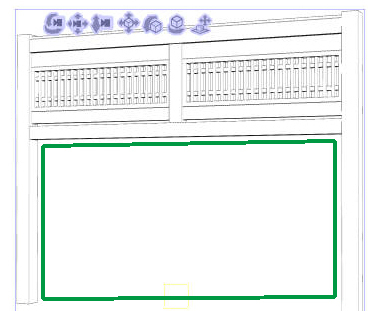 but the working part are slidable and width is freely customizable. 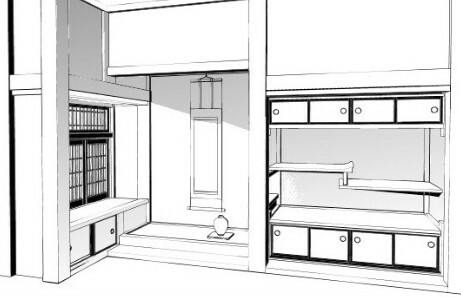 After adjusting the width, the hanging paper scroll also can move as desired. 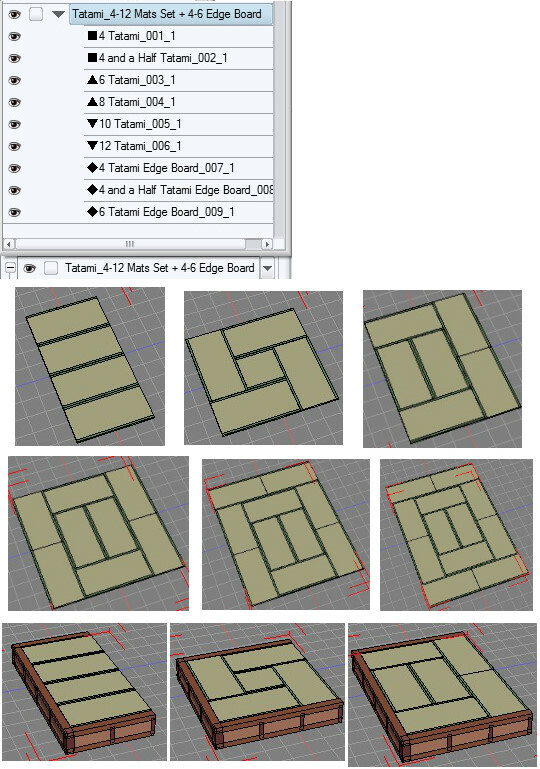 3D is duplicatable by copy and paste. 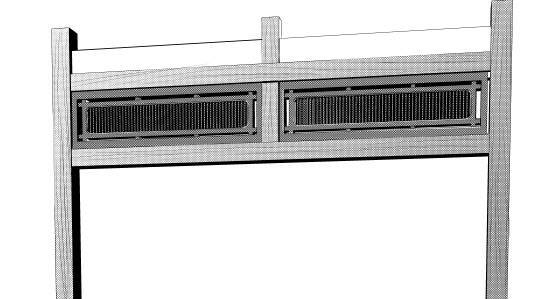 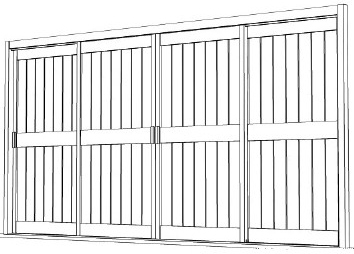 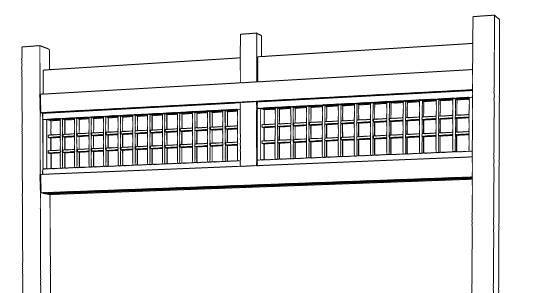 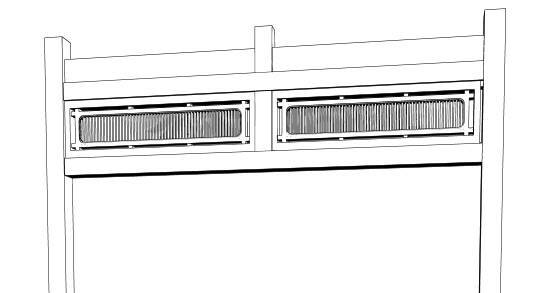 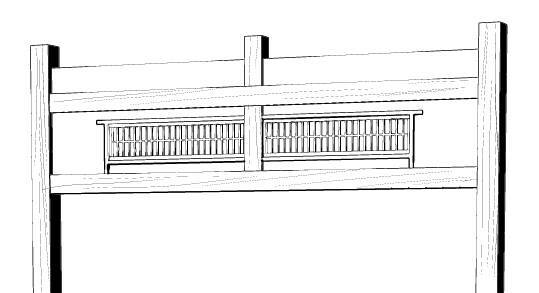 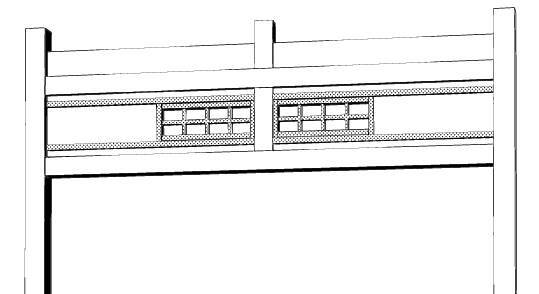 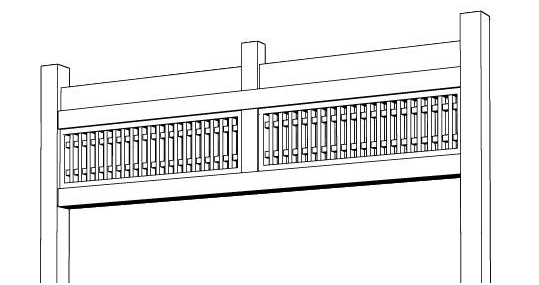 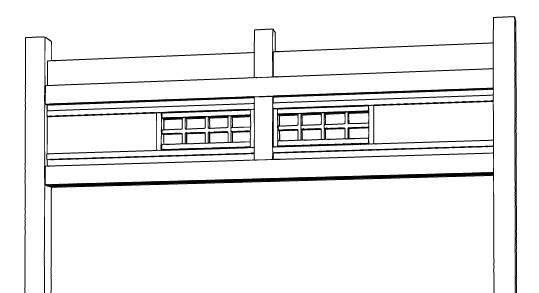 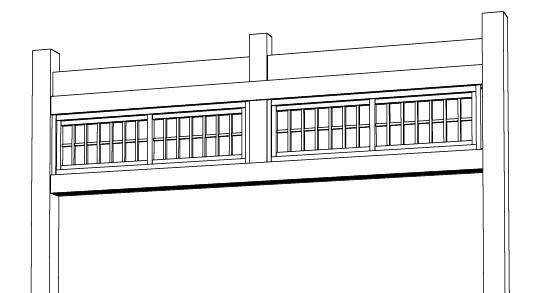 ※Example of sliding the copied parts and increasing the decoration of the deck. 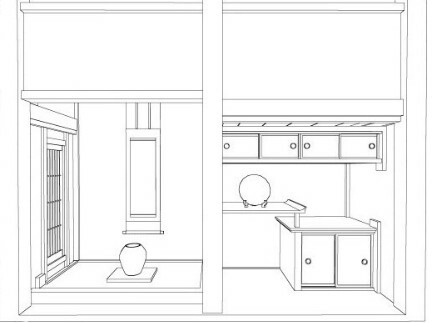 Mixed examples of Alcove 01 and 02. 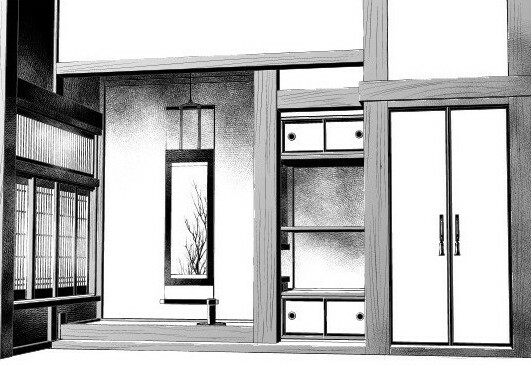 To use the angle from back of alcove, hide the back wall and hanging paper scroll. 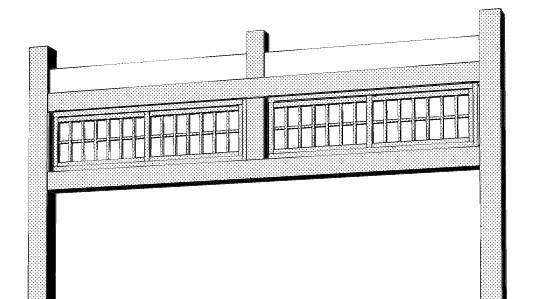 An example of angle from behind the alcove. 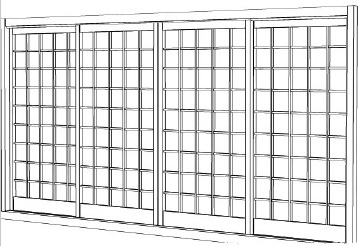 Please use on a unique and meaningful scene such as secret meeting. 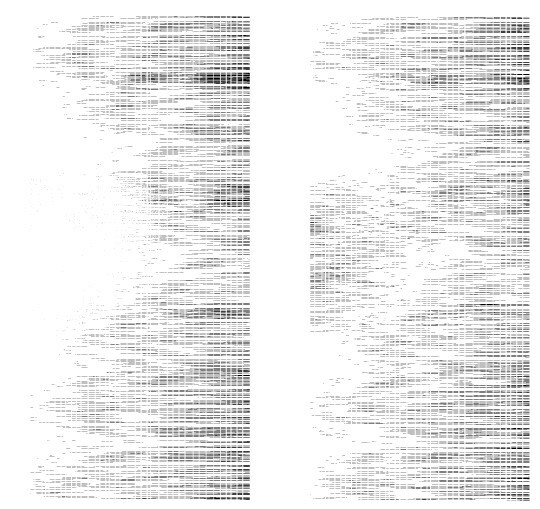 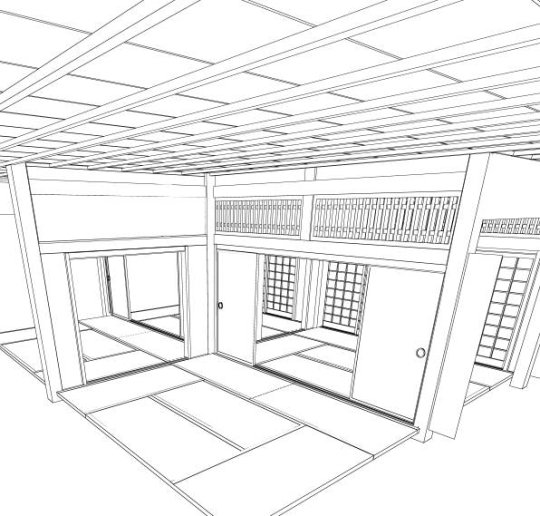 Inverted version of all alcove already include in the file. 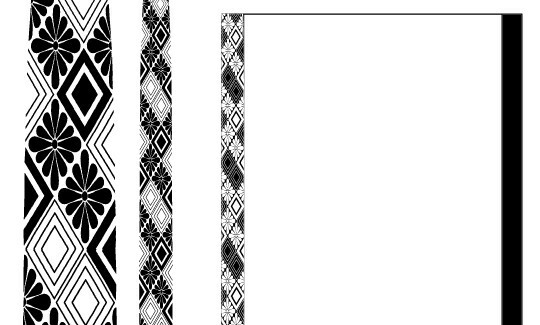 Please use them according to own creation. 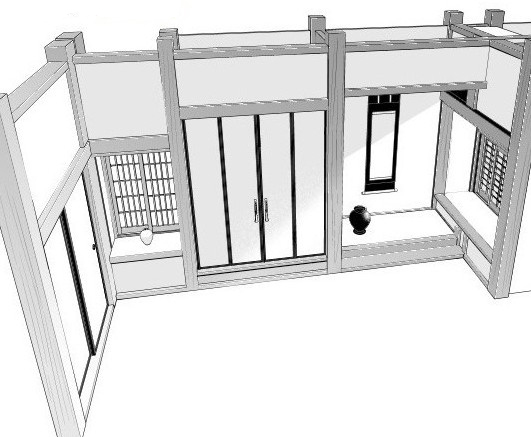 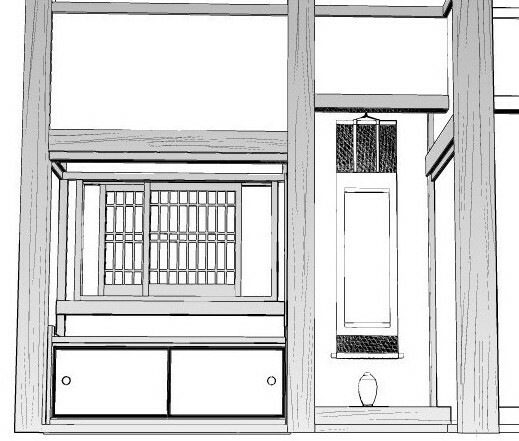 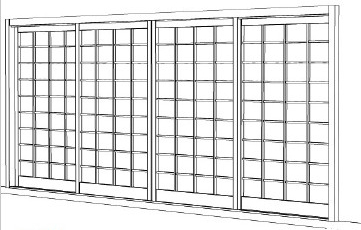 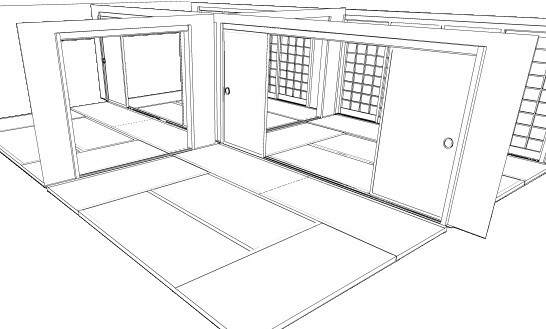 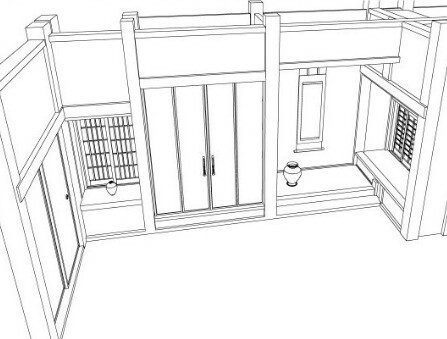 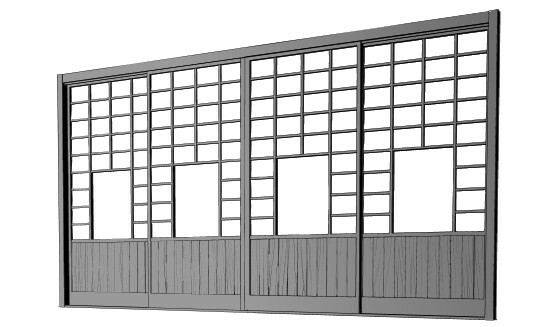 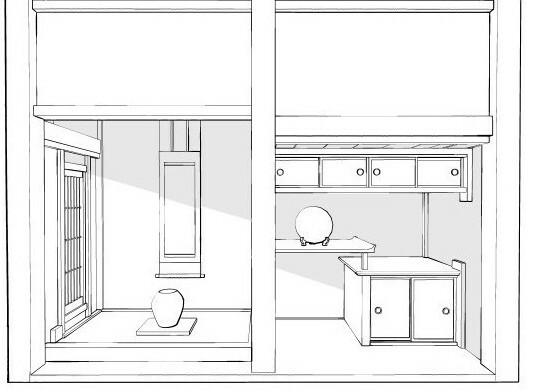 3D Sliding Door, Tatami Mat, Transom (Ranma), and Ceiling that. 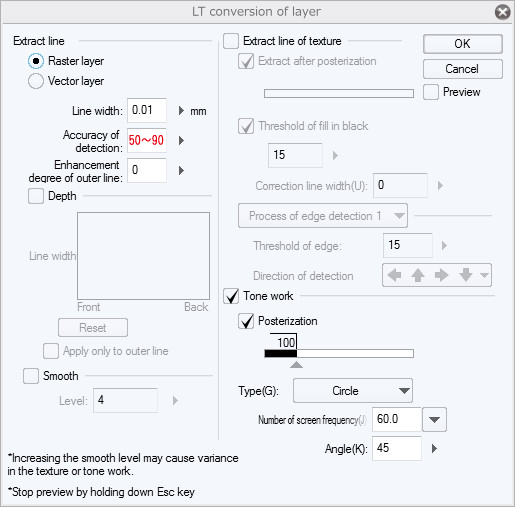 Reference for LT conversion of layer setting.